RVing Snowbirds from the northern U.S. and Canada flock to the Southwest to escape frigid winter temperatures and overcast skies. 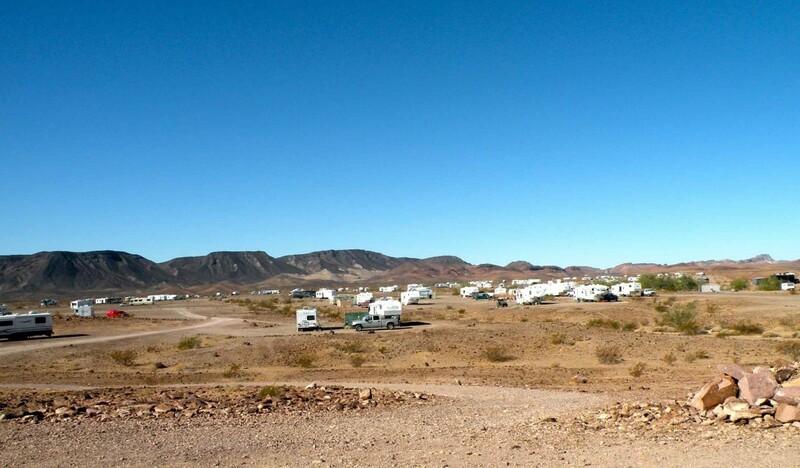 In southern Arizona, huge numbers of RVers boondock on the thousands of acres of Bureau of Land Management (BLM) land to enjoy the sunny weather, mild temperatures and free or very cheap camping. 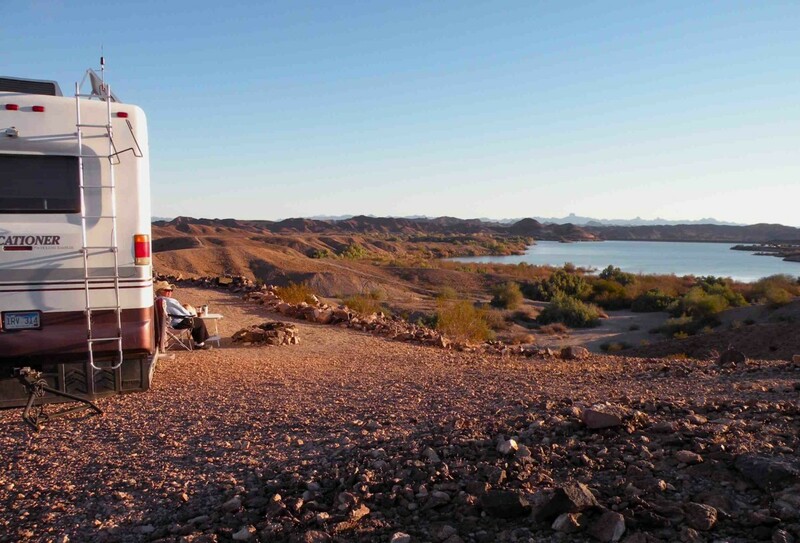 One very popular boondocking location is the Imperial Dam Long Term Visitor Area (LTVA). Camping areas are off Senator Wash Road near Senator Wash Reservoir. 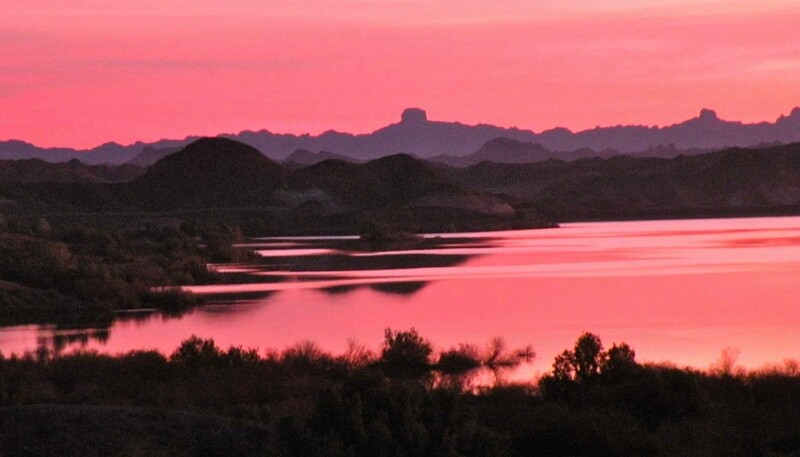 The reservoir is near Imperial Dam which is fed by the Colorado River and is about 25 miles north of Yuma. 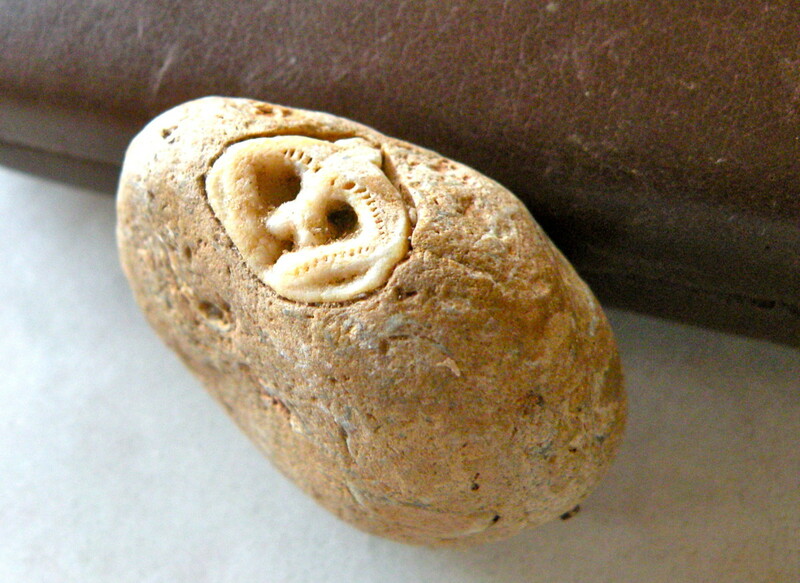 Although the LTVA is actually in California, it's but a stone's throw from the Arizona border. It's surrounded by beautiful red brown hills. Many of the camping areas are set on a plateau overlooking Senator Wash Reservoir while others are tucked into more protected areas next to the hills and in some of the gravel beds. Hidden in the hills are abandoned gold and turquoise mines as well as many areas that attract rock hounds. Senator Wash Long Term Visitor Area. Snowbirds arrive at Imperial Dam LTVA and Senator Wash anytime from October to January. Some stay a few weeks and move on to Quartzsite or other BLM areas in Arizona or California (See Slab City, California, The Last Free Place ). Others set up camp for the season and remain for a full 6 months leaving in early April when the weather begins to get hot. 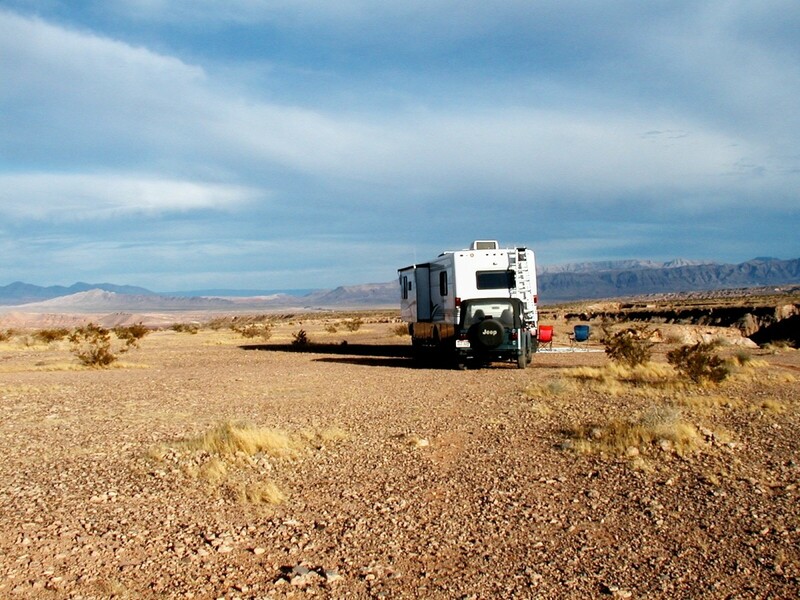 There are many advantages to boondocking in the Long Term Visitor Areas on BLM land. First of all, the cost can't be beat. Imperial Dam LTVA costs $40 for two weeks or $180 for the 6 months. 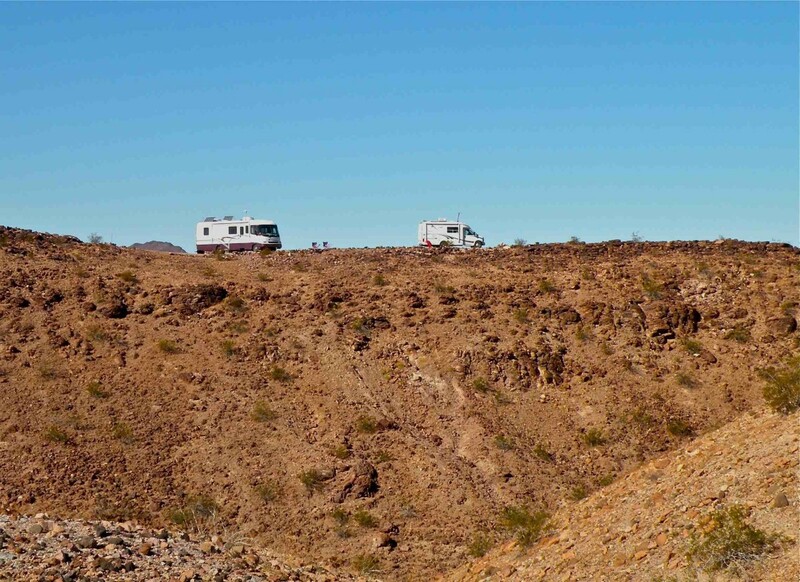 Because this area is all part of the Yuma BLM district, campers can use their permits at several different BLM areas within the district including Long Term Visitor Areas in Quartzsite, Arizona and at the Hot Springs near Holtville, California. The Imperial Dam LTVA, which is near Senator Reservoir, has a dump station, trash dumpsters and a central water station as well as restrooms with outdoor showers. (There are also pay showers nearby at Squaw Lake campground for those who would like the luxury of a hot showers.) In addition, there is a pavilion in one of the protected gravel beds where residents gather for aerobics, church services and jam sessions. In another area, volunteers have set up a community library in an old Airstream trailer. The Imperial Dam Long Term Visitor Area includes smaller camping areas with such colorful names as South Mesa, Hurricane Ridge, Coyote Ridge, Skunk Hollow, Florida Flats, Ocotillo Flats and Quail Hill. Each of these areas has it's own special attraction, whether it's protection from the wind, a view of the Senator Wash Reservoir or a beautiful view of the surrounding hills. Winter residents have also instituted some of their own attractions. For example, one winter resident collects and recycles cans and bottles on Hurricane Ridge. Down in Skunk Hollow, volunteers operate a community library and monitor Channel 12 on the CB in case someone has an emergency. Other areas have transplanted communities of snowbirds from Canada or various Northern states. As some people have been parking in the same spot year after year, some parking spots have been outlined with rocks which have been picked up in the desert. Natural plants and cacti are sometimes protected with a circle of rocks and become part of the "landscaping" around campsites. Attractive stone fire pits have been built at many of the camping spots. Imperial Dam is approximately 25 miles from Yuma, but there are some interesting things to do without traveling into the city. Yuma a Proving Grounds is about 5 miles away from Senator Wash Reservoir. Non-military visitors are allowed on the base to visit the cafe and bowling alley. There is also an excellent small museum on the base which is well worth seeing. WWII Tanks are on display along Imperial Dam Road as you drive from Rt. 95 to Senator Wash Road. There is room to park and get a close-up look at the big guns if you wish. You can see groves of date trees being groomed and hand pollinated during the season. The local date gardens have gift shops and a place where visitors can purchase fresh dates as well as date shakes. is located several miles north east. There is a museum there as well as remains of an old mining town. Even if you chose not to go to the museum, the ride out to Castle Dome is a beautiful one through garden-like stands ofcactus. In the spring you will see many wildflowers along the roadside as well as the ocotillo and beavertail cacti in bloom. 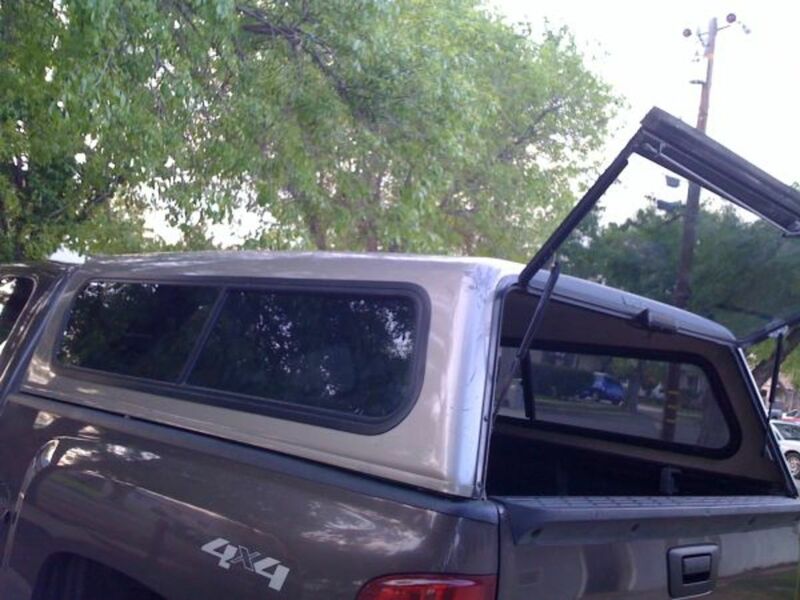 by 4-wheel drive vehicle or ATV. There are many, many back country roads to explore. Some are graded dirt roads like Ferguson Road that meanders through the hills to Ferguson Lake. 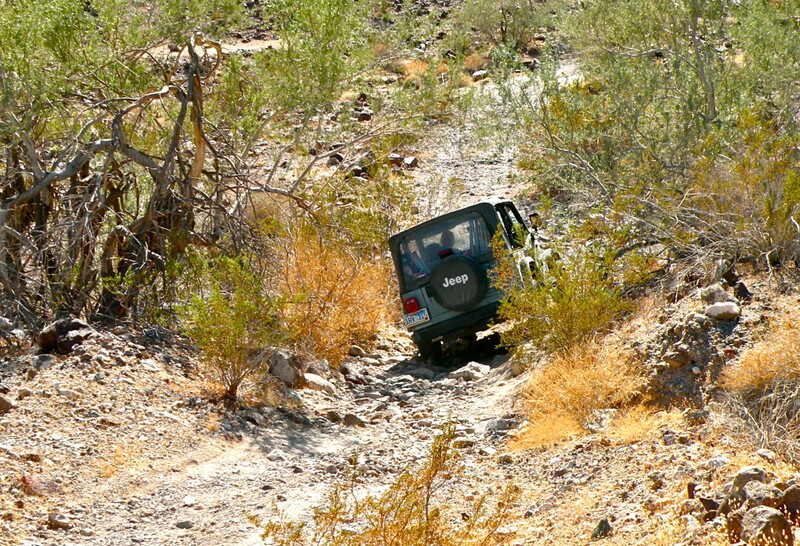 Others are little more than rough trails through washes and over hills into the wilderness. Public boat ramps allow access to Senator Reservoir, Mittery Lake or Squaw Lake. Camping is allowed along the water at the Senator Wash Reservoir and Squaw Lake for $15 a night. There are still no utilities or hookups, but there is a beautiful water view at both of these camping areas. Check out Mittery Lake Wildlife Area for camping, boating, fishing or bird watching and wildlife viewing. There is dispersed camping along the lakeside as well as away from the water. Going a little farther afield, one can find plenty to do in Yuma. The Park contains the quarter masters quarters as well as other restored historic buildings. 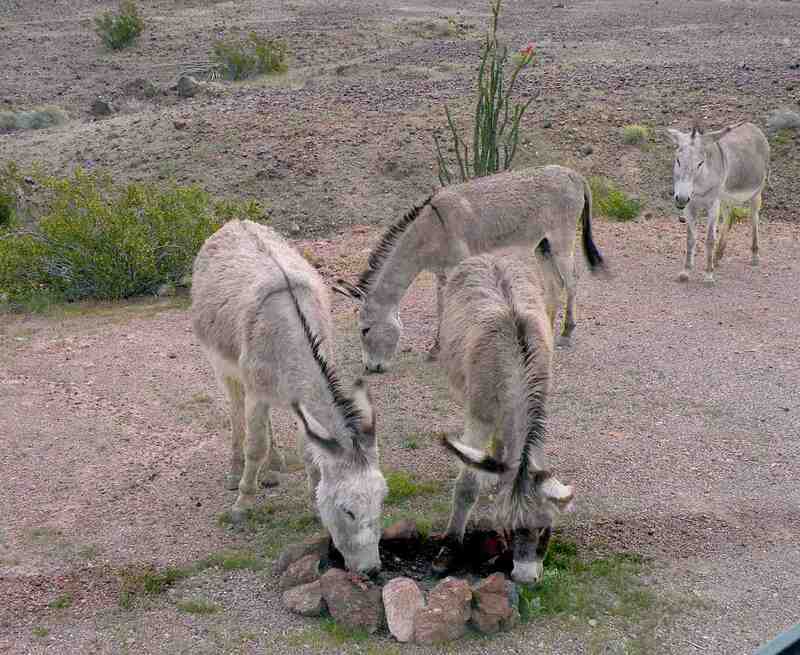 Keep a lookout for the wild burros who live in the hills. They are used to people and their curiosity will often bring them into campsites to investigate fire rings or outdoor tables. It's illegal to feed them, though. Visit one of the weekend flea markets. The Arizona Marketplace is a huge flea market which is open Thursday through Sunday. and a farmer's market on Wednesdays. Area events include music shows, rodeos, the annual Yuma Air Show and the Yuma County Fair. Visit the Quechan Museum in Yuma. Cross the border into Los Algodones, Mexico. Go for shopping, lunch and even dental work or new eyeglasses. The Dunes are about 30 miles west of the Imperial Dam. They are a great attraction for ATVs. 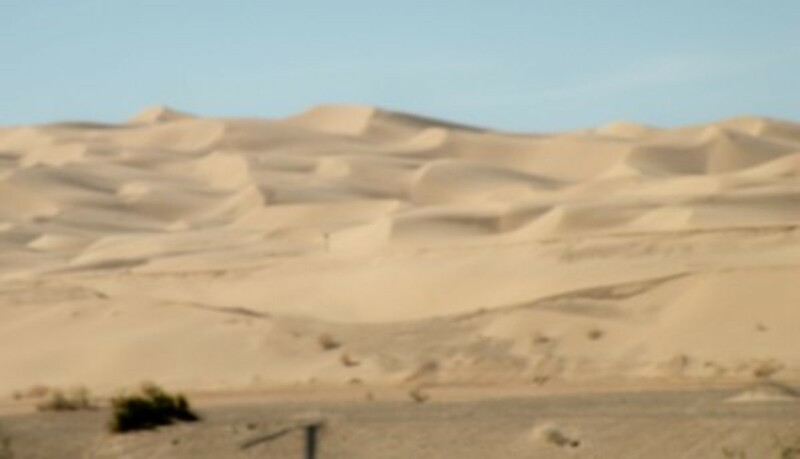 Even if you don't step out onto the sand, go to see the incredible expanse of golden sand dunes just off I-8 west of Yuma. Stay away if it's windy, though, as blowing sand can be stingingly unpleasant and tough on skin and vehicle paint jobs. Don't Be Without This Book! We refer often to this book, Adventures on America's Public Lands, to help us find free and cheap camping in the southwestern states. It includes information on campgrounds and directions for finding them. There are also handy phone numbers - always call if you are unsure of directions or other details! In addition to the Imperial Dam LTVA which charges a small fee for camping, there are numerous places where one can camp for free on BLM land. 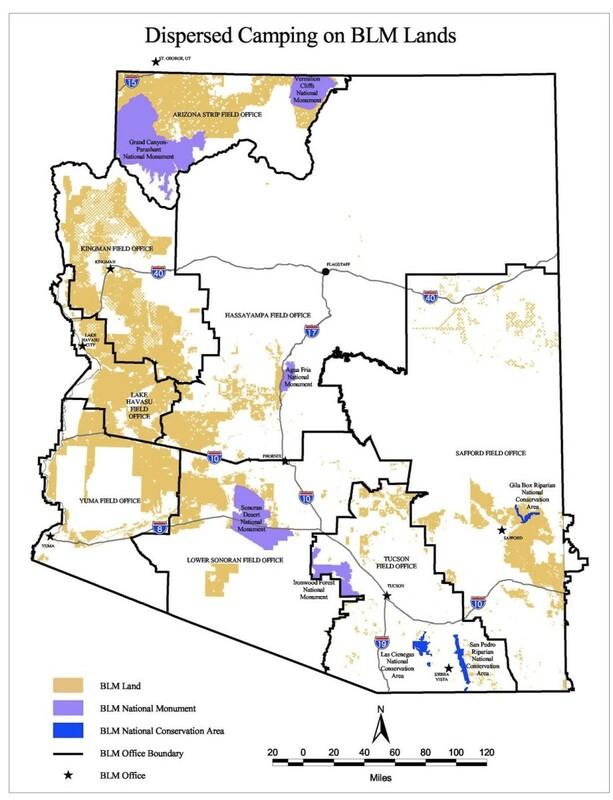 The BLM Yuma Field Office manages 1.2 million acres of southwestern Arizona and southeastern California. 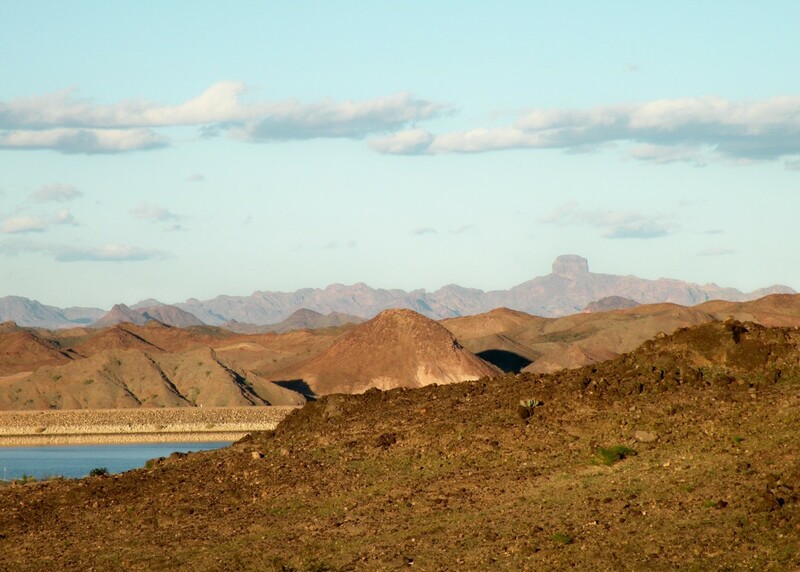 The area includes 155 miles of the lower Colorado River, a destination for hundreds of thousands of visitors seeking water-related recreation year-round. While there are some developed campgrounds on BLM lands which charge a fee, dispersed camping (free) is allowed on most BLM land except land designated for other uses or for wildlife preserves. Dispersed camping is usually limited to 14 days within a 28 day period. Southwestern Arizona and southeastern California wonderful RV snowbird destinations. There are numerous places to stay in a variety of settings. 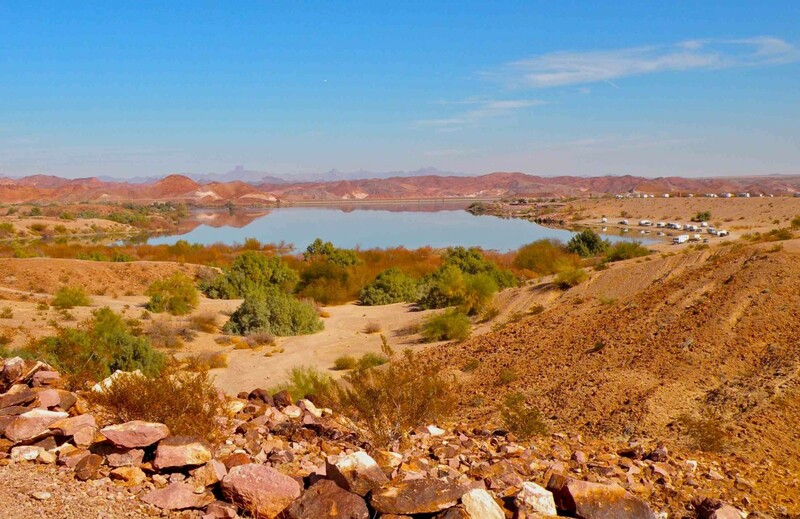 Camp along a lakeside at Mittery Lake or overlooking a reservoir at Senator Wash. Camp near the Imperial Sand Dunes and play in the sand on your OHV or enjoy natural hot springs at Hot Springs near Holtville. 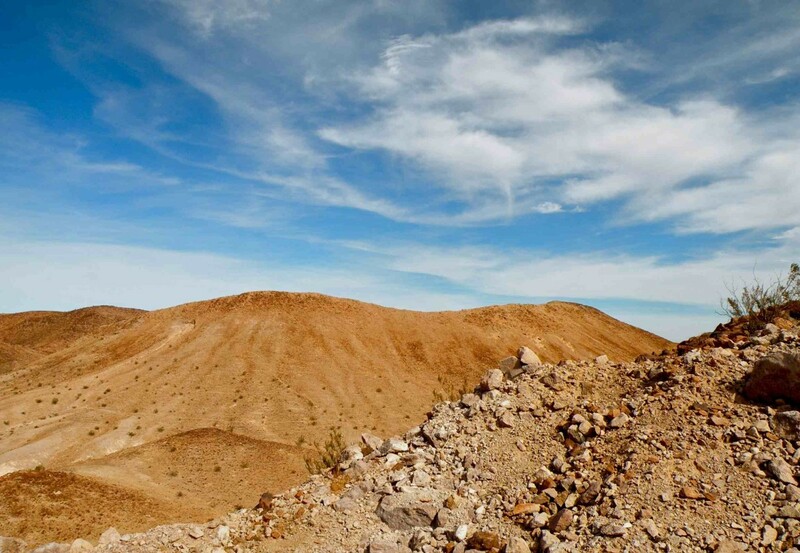 There is dispersed camping in the hills and on the flat of the desert. Enjoy a few weeks or a few months of balmy weather while those in northern climates are fighting off Old Man Winter's worst. is tent camping allowed at Imperial Dam LTVA and Senator Wash? Yes, you can tent camp at Imperial Dam, LaPosa and Mule Mountain, but, for sanitary reasons, tents or non-self contained units must be set up within 500 feet of vault toilets or restrooms. Porta johns are not considered a restroom in this case. Stephanie- Great article. 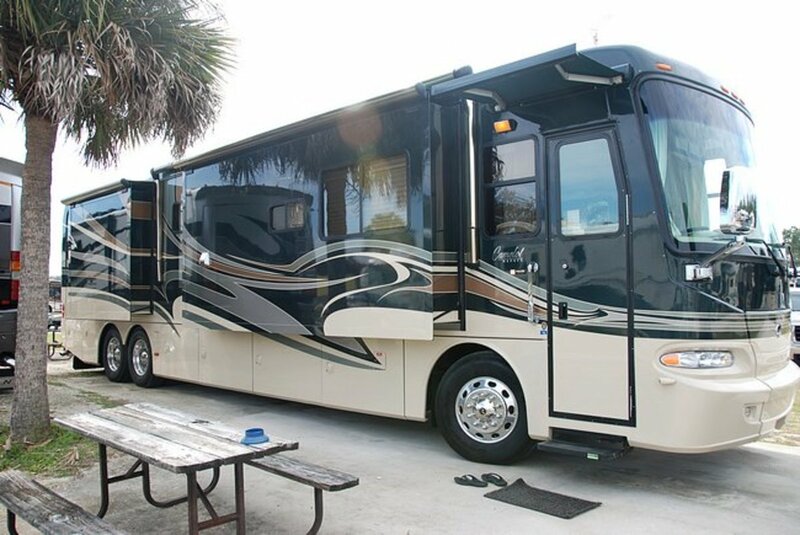 I've never heard of "boondocking" before, but this is a great time for me to hear about it because my wife and I are tossing around the idea of purchasing an RV and travelling around the country post retirement. Granted, that's a ways down the road, but it's so great to hear that this is something that should be within our price range! Great pics too! Thanks for writing, Brian and Nora Williamson. So glad my article brought back pleasant memories. 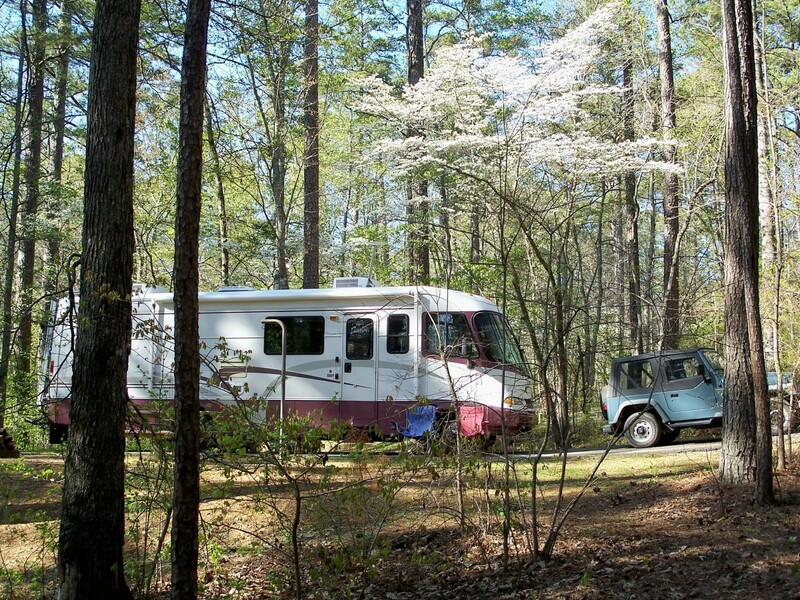 We've sure stored up a lot of pleasant memories of our own camping at Senator's Wash.
Just come across this article. Brings back happy memories of the three months this small English couple with a very old Winnebago Mini Winnie and how welcome we was made. Way back now in 1996. How time flies, never forgotten. I would feel ok leaving it for a few days if someone were checking on it. I would hesitate leaving it for 6 weeks unless it was parked close to some friends who kept an eye on it. In fact, I'm not really sure that the rules allow it. You would certainly have to let the hosts know that you were planning to do so. Thank for sharing your Imperial Dam experience. It is most appreciated. I have a question for you. 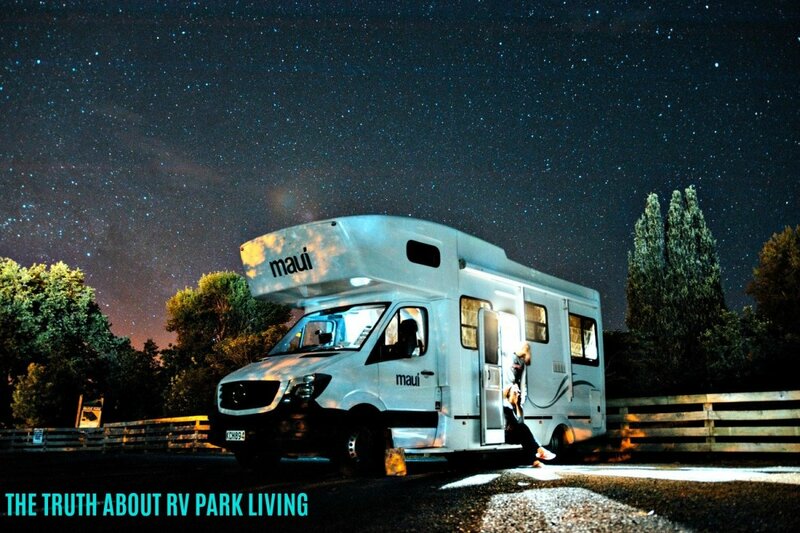 Is it safe to leave our RV on a site, unnatended for 6 weeks while we return home for Christmas? Sunnie Day - The Yuma Proving Ground is certainly a remote location. When we camped near the dam, we wondered how those stationed on the base survived the very hot summers. We very much enjoyed our time in the area in the winter months, but usually leave in March when it starts to warm up. The desert near there is very beautiful and interesting. 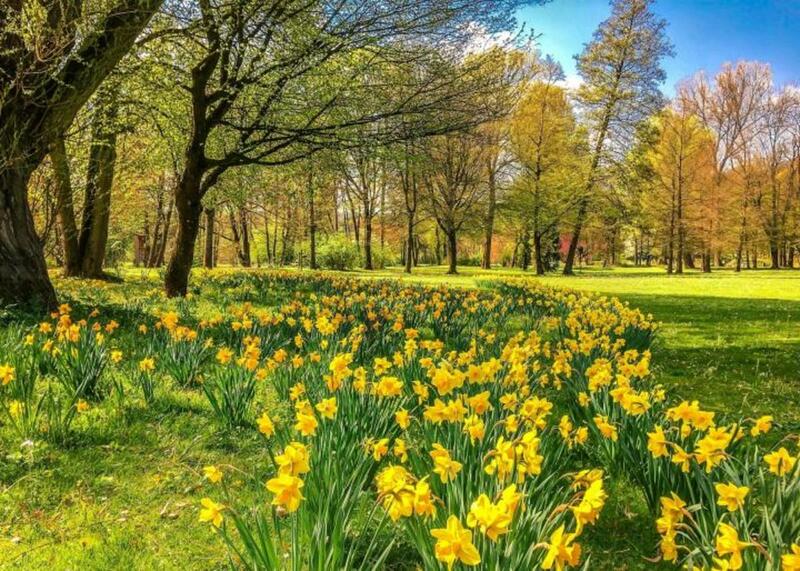 Living in the area must have given you many opportunities to explore it. Thanks so much for your comments! I'm glad you enjoyed my hub and that it brought back some good memories! I was so excited to see your title...I was stationed in Yuma Arizona when I first joined the Army many years ago and spent many weekends enjoying the dam and surrounding areas...Yuma Proving Ground was such a small base and it seemed like it took forever to get anywhere. A real shocker for a young soldier. lol Thank you for a great hub and sparking a wonderful memory. Eiddwen - Thanks so much for your kind comment, Eiddwen. I love sharing our RVing experiences, especially some of the places where we sometimes stay in the winters like Imperial Dam and Senator Wash. Thanks for stopping by! Your work is always so well informed and beautifully presented. Sunnie Day, We do love to visit that area in the winter and usually visit the YPG a few times during our visit. They have a great museum there. You must have experienced some pretty hot temperatures in the summer, though. Thanks for reading and commenting on my hub! What a great hub full of information. It caught my attention as I was station in at Yuma Proving Ground in 1978 1980 I remember many trips to the dam and the surrounding lake. It brought back a lot of memories. Thanks for sharing a great hub.